Chemist Trainee: Applicants who have completed the MSc (Chemistry) preferably BPCL recruitment in first class analytical chemistry with 60% marks or equivalent from the recognized institution for 2018. Operator trainee: Applicants who have completed first class diploma in Chemical Engineering / Technology (full time course approved by AICTE) with 60% marks or equivalent from the accredited institution for BMCL recruitment 2018. General Workman-B (Trainee) - Chemistry: Applicants who complete first class diploma in Chemical Engineering / Technology (full-time course approved by AICTE) with 60% marks or equivalent from the accredited institution for BMCL recruitment 2018. General Workman-B (Trainee) - mechanical: Applicants who have completed first class diploma in Mechanical Engineering (AICTE approved full-time course), with BPCL Recruitment 2018 for 60% marks or equivalent from the accredited institution. General Workman-B (Trainee) - Electrical: Applicants who completed first class diploma in Electrical / Electrical and Electronics Engineering (full time course approved by AICTE) with 60% marks or equivalent from the recognized institution for BPCL recruitment 2018. General Workman-B (Trainee) - Instruments: Applicants who have completed first class diploma in Instrument Technology or Instrumentation and Control with 60% marks or equivalent from BPCL Recruitment Institute recognized for 2018. Look around for the "BPCL Recruitment 2018" for the General Workman B (Trainee) posts. The selected candidates will get 8,88,841-41,000 from the organization. 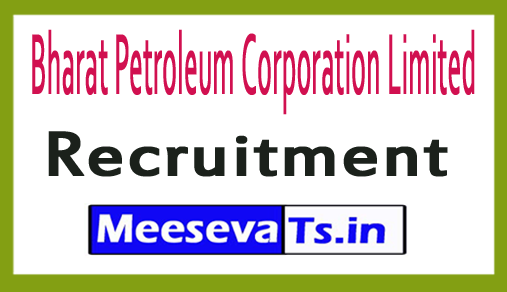 BPCL recruitment for craftsman look around for 2018 / Process technician post ". Look for "BPCL Recruitment 2018 for General Workman Posts."